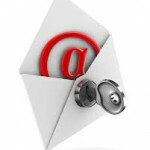 November » 2013 » The Computer Company, Inc.
What Exactly Does HIPAA Say About Email Security for the Healthcare Industry? Performing daily business transactions through electronic technologies is accepted, reliable, and necessary across the nation’s healthcare sectors. Therefore, electronic communications and email have become a standard in the healthcare industry as a way to conduct business activities. When your organization is responsible for critical data such as protected health information, choosing an email provider like The Computer Company is more than a matter of trust. Want to learn more? Would you like an unbiased evaluation of your current circumstances? Contact The Computer Company at 800 418 2358 or info@computercompany.net for a free evaluation and demonstration of our product. 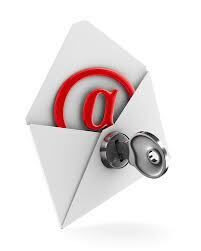 Email is the most used communication tool in business. It is the greatest asset in enabling organizations to collaborate and share valuable information inside and outside their network. However, email can also be your greatest threat – leaking customer information, intellectual property and other sensitive data that should not leave your network. Whether it is customer data, partner data or intellectual property, no industry is exempt from the need to maintain the confidentiality and security of sensitive information. 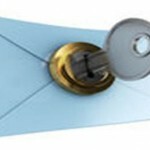 In addition, no industry can deny that email continues to be the preferred application driving business communication. Based on these factors, it is no surprise then to see the increase in government regulations calling for the need to encrypt sensitive information in email. As the market leader in email encryption services, The Computer Company’s encryption solutions mitigate the risk associated with sending sensitive information in email and assist organizations in achieving regulatory compliance by providing email encryption. regulations, such as the Gramm-Leach-Bliley Act (GLBA), to protect consumer privacy, email encryption is the solution for securing the exchange of sensitive information for financial institutions. 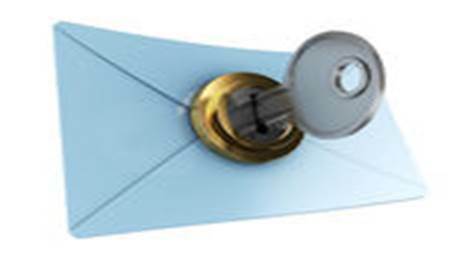 Government – To manage the stress of government oversight and maintain public trust, government organization look to email encryption to assist in the protection of sensitive information. With increasing federal and state regulations governing the security of personal information, many companies outside of these industries are also compelled to secure customer data and protect their businesses from reputation damage, government fines and other costs associated with a data breach. To learn more about factors impacting your need for email encryption, please contact The Computer Company today for a free demonstration of how simple the product is to use. As the government attempts to figure out the problems with the Obamacare flagship site and the backend databases, solution providers said that there are options for a few so-called “quick wins” to help the site get up and rolling. The 20 million hits on the website show that people are voting with their mouse clicks, and that many people want to use the site to sign up rather than phone calls or paperwork. In light of all the technical problems, Here’s a look at the first steps solution providers say they would take to get the site working again. The first step that should have been taken was to follow best practices from the beginning. if you build performance culture early on, finding the problems as you go along is a lot more efficient than trying to find them at the end of the process, If best practices had been followed, the time constraints on the launch would not have been as much of an issue. We have found it is best practice to develop one function at a time, both to test individual performance and communicate the results to the customer. However, a lot of people still follow the “waterfall” approach, he said, which isn’t nearly as effective. We have seen startups go from zero to 10 million users in three months with no problems when using best practices. This can be done. Instead of launching the site to the entire country all at once, it would have been better to do a scaled rollout. Compare the situation to a Black Friday rush, where it’s better to let customers slowly come onto the site rather than allowing a stampede of holiday shoppers trample each other for the latest toy. First offer the program to small businesses as a smaller-scale trial run and implementing the lessons learned from that rollout before expanding the offering to individuals and families. They could have scaled it much differently than going for the big bang theory of providing the service. It’s unbelievable what you could do now with the cloud approach. The cloud is the best option for unpredictable workloads and data sizes. Just look at Netflix. Netflix traffic spikes as people come home from work, so the site keeps extra space on standby to accommodate the additional traffic. Although cloud virtualization becomes trickier with personalization, the same approach could have helped the healthcare.gov site. Even though Connecticut’s state-run health exchange has been running well, with no downtime so far, interacting with the federal database system is still a struggle. The site has to interact with a variety of databases from insurance companies, healthcare organizations and the IRS, to name a few. There isn’t a set of standards among the databases, which is one of the problems with the healthcare exchange. It’s almost like they’re reinventing the wheel. There are solutions out there already. One solution would be to force healthcare providers to standardize their databases instead of simply adhering to what they had been doing before. You end up doing the same thing a hundred different ways with each provider. After experimenting on the site, we found it needs improved search capabilities and a virtual agent to assist consumers. Instead of clicking all over the site, which chews up bandwidth, consumers could find their answers much more quickly. For example our own experiment showed thaif we searched I have a heart condition or What if I live in Connecticut which has a state exchange, no results popped up. But, if you type into the search that you cannot afford insurance, for example, it spews out more than 100 results that aren’t necessarily related. The site is preventing people from self-educating, which 20 million-plus site clicks proved people wanted to do. Going forward the search data would help refine the site in the future, as companies like Amazon and Google already do. That should help them understand how the healthcare.gov has to transform itself to actually support what the consumers are looking for. One of the keys to the Connecticut state health exchange success was a tough decision in January to cut functionality by 30 to 35 percent, said exchange CEO Counihan. “In retrospect I think it was the smartest decision we made,” Counihan said. We suspected that part of the problem with the site was discussions about what functionalities should be included. I could only imagine that all the internal bureaucratic debates on what the app should do and shouldn’t do … was a big part of the problem. Enhancing that issue was the contract basis of the work, because workers are often paid per line of code. He joked that it makes people more inclined to code Ferrari-like features into the system rather than taking a simplified business approach. There were a lot of extras, which created inefficiency. It’s like everything and the kitchen sink was left in the website whether it was needed or not. One major problem was the “broad overuse” of third-party services, a number of which were likely unnecessary because many of the third parties performed the same tasks. Financial services companies usually have five to seven third parties involved with their sites. The healthcare.gov site had well over 20 or 30 third parties, the analysis found a very aggressive overuse of these third-party services. The other main problem with the third parties is that they are out of the site’s control, if the third party can’t handle the traffic load,and then the site will collapse. Basic performance culture is to eliminate the amount of times that the site must call up Web elements. An analysis of the site shows it takes an average of more than 16 seconds for each time the site has to call up a page. Each one is a performance penalty to the website. It’s like doing laps on the track. Four versus 100, it slows things down. It takes a lot longer for the website to load. It would make a lot more sense for the government to pull in companies like Facebook or Twitter, both of which have millions of users pulling information from different sources all of the time. Multiple companies have offered their application performance management software to the healthcare site, including Compuware APM and AppDynamics. It would be helpful to do an analysis to discover the location of bottlenecks. Without having a system that can do this accurate performance analysis, they’re really falling into the age-old trap of looking in all the areas without having any visibility of what to fix. Without that,they’re really flying blind. The government is bringing in some great companies to help fix the problems, such as Verizon, but without APM, the companies won’t have any idea where to look. They’re bringing in some really good people who could help if the problem is in a specific area, but I think they’re really guessing at this point. At the congressional hearing with the major contractors involved in building the healthcare.gov site, none of the contractor representatives were able to answer the question of who was in charge of compiling the pieces and testing the final project, except for generally attributing it to CMS. Testing is usually the last piece of the project, but it is crucially important. I think the biggest problem is that, especially when you’re trying to get the website to market, if you don’t have a focus on performance, it’s often too late to cross your fingers and hope performance is good. We recommend performance testing before a website goes live. Connecticut Health Care Exchange’s Counihan said the Exchange tested its site a few months before launch and found 67 defects, which it was able to fix before the launch. In the end, problems after rollout damage the company’s brand. There will be a lingering reputational impact on the site going forward because of the botched implementation. As you make changes to your organic SEO strategy via keywords or on-site updates, it can be challenging to know whether you efforts are actually generating positive results. Because organic SEO can take weeks and months to show tangible movement in your search engine rankings, it is essential to know how to accurately track successes and failures as early as possible. Educating yourself about the key metrics that point to the overall health of your SEO efforts can save tremendous time, money, and headaches. These metrics point to the overall success of your campaign, and any movement within them after an SEO launch can start indicating long term expectations of success or failure. Let’s pretend you’re tracking a total of 10 keywords. Two of your choices are landing you on Google’s first page. The other 8 need additional optimization. You’ll need to examine your on-site and off-site strategies to find ways to improve these results. Or you may determine that those particular keywords are too competitive, and/or not applicable enough to your website to bring you the results you’re after. Understanding the power of your keywords involves far more than monitoring rankings. The impact of keywords on traffic is also essential. Always measure the quality of traffic you’re getting, and, of course, the volume. Remember that landing on the first page of Google for any search results is meaningless if the traffic you’re generating doesn’t convert. To determine how your keywords are affecting your traffic, watch the metric that measures the amount of your traffic that is generated from organic search. Your individual business and SEO targets will help you determinehow much volume can be expected. As an example, if you’ve launched a national campaign, you’ll obviously expect more volume than if you’ve targeted a smaller geographic region. So how do you quantify the quality of your website traffic? Pay attention to key website metrics like bounce rates and pages per visit. Bounce rate is really the biggie – if you’re getting a double digit bounce percentage, or if you notice it increasing after a campaign launch, it’s a safe assumption that your traffic quality has diminished. How Good is Your Website at Converting Visitors? Cash is still king, and conversions are the easiest way to measure how successful your marketing and website efforts actually are. Don’t assume that conversions are black and white by definition, however, as this too can be a multifaceted metric. Here’s an example: Many SEO campaigns have the goal to increase overall leads. Remember that conversions aren’t just tracked via the web, but also through any other communication channel, like phone calls, appointment or quote requests, and related correspondence. If all your business does is sell tangible goods, a conversion is a sale. Most sites, however, have diversification with conversions, so make sure you’re considering the big picture. Additionally, as you know, marketing is not always a real-time action. Since not all of your traffic will be ready to commit after the first visit, measure conversions by other metrics like newsletter sign-ups, social media fandom, media downloads, and any other action that indicates engagement. All of these point to a sincerely interested visitor, and could certainly equate to revenues in the very near future. Because conversions can be abstract and, in essence, without revenue out of the gate, it’s a super smart strategy to map out the value of a conversion before you launch any related campaigns. This is obviously very unique to your business, and you may also have cost structure tiers to help determine actual ROI too. Always factor in the customer’s lifetime value as you consider ROI. This equates to the expected profits you can receive per converted customer over their life long relationship with your business. Limiting your calculations to a single transaction conversion is a narrow focus and won’t reveal your actual ROI. It’s obvious that tracking SEO campaign success is not necessarily a cut and dry process, but if you rely solely on something like search rankings, you’ll be missing a good portion of the story your metrics are telling you.